Start taking classes at RhythmAddict Dance Studio and other studios! RhythmAddict Dance Studio is a fun and friendly dance studio dedicated to bringing the joy of dance into peoples' lives. Absolute beginners are always welcome! They offer a variety of partner dance classes including Salsa & Bachata, Ballroom & Swing, plus social dances so you can practice what you've learned. This is a casual group of dancers, but not too casual. Jeans & shirts are the norm for all of these classes, and even sometimes work clothes – workout clothes should be reserved for the gym. In time you'll find that dance shoes are amazingly comfortable and perfect for dancing, but until then just wear anything comfortable that will stay on your feet. Flip flops are banned from the studio. Heels for women are a personal choice, but nothing over 3 inches. 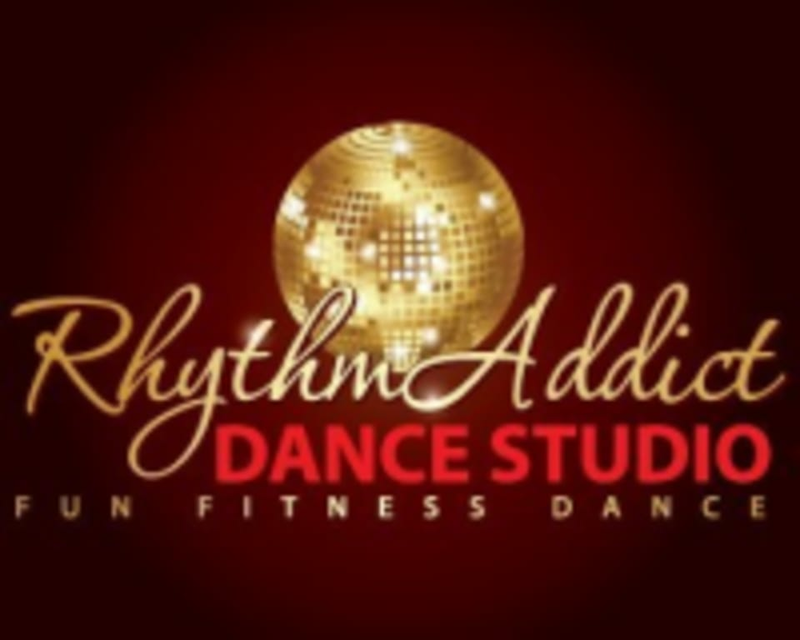 RhythmAddict Dance Studio is located just Northwest of the corner of Haven and 4th Streets at 10373 Trademark Street, Suite E in Rancho Cucamonga, CA. Wonderful instructor. She really broke it down step by step — even my fiancé had a great time!